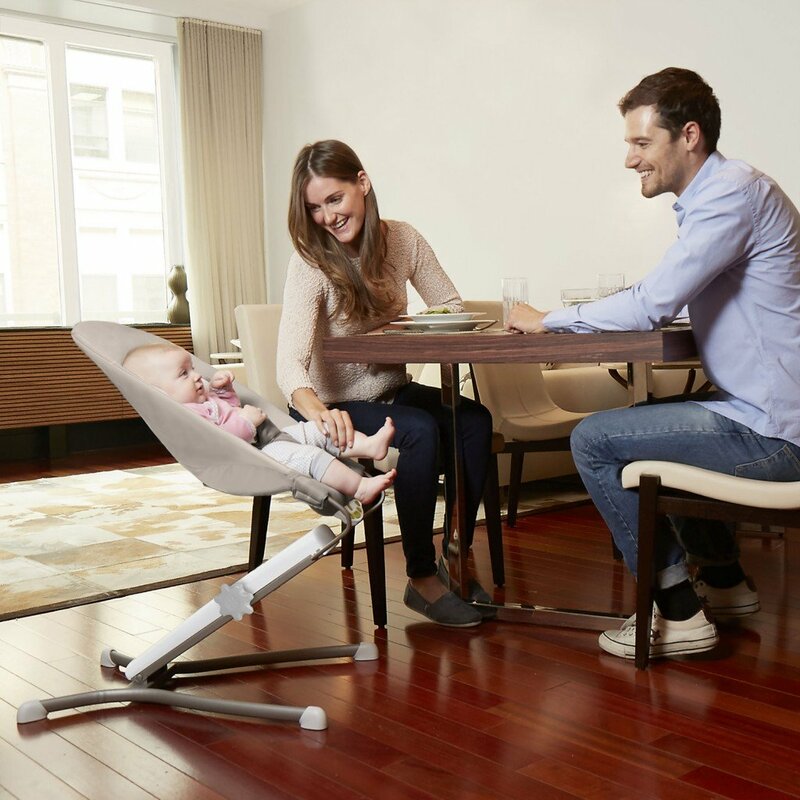 Designed to seamlessly integrate baby into numerous family situations, the Uplift Baby Bouncer from Skip Hop has taken the classic-style bouncer chair and given it a much-needed lift! 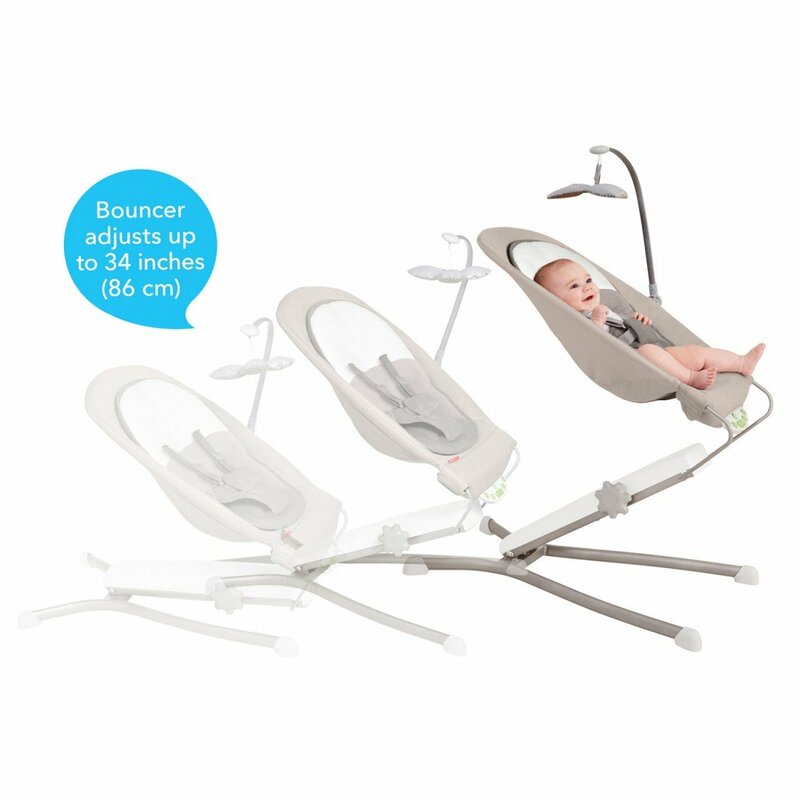 With infinite height adjustments (up to a maximum height of 86cm) baby can be raised from the traditional floor position to a height which is better suited to whatever you happen to be doing. 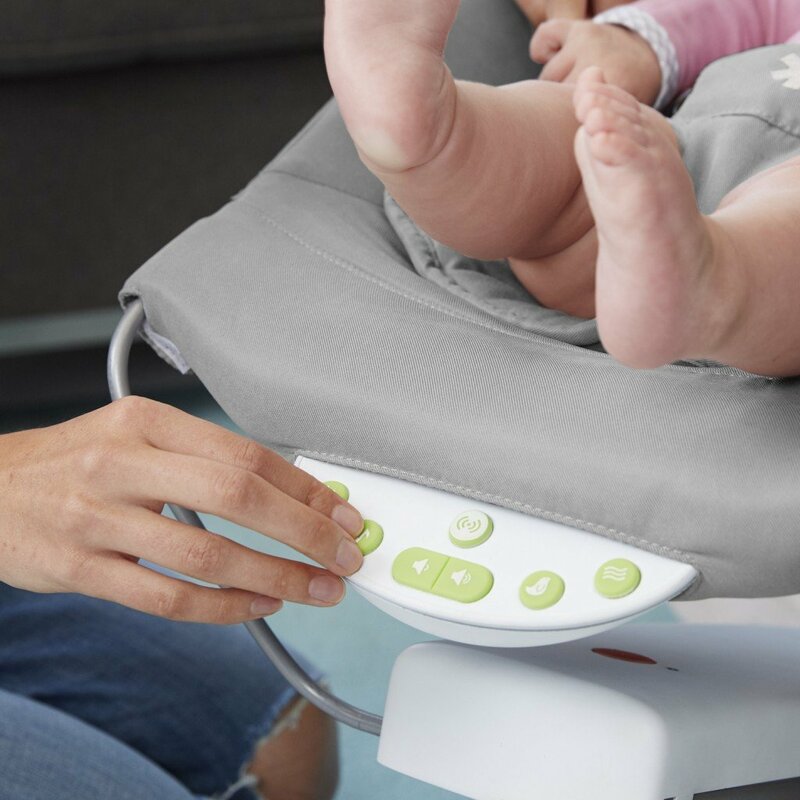 Whether it be eating at the dinner table or relaxing in front of the television, the Uplift Bouncer keeps baby in-sight, engaged and safely supported at all times. 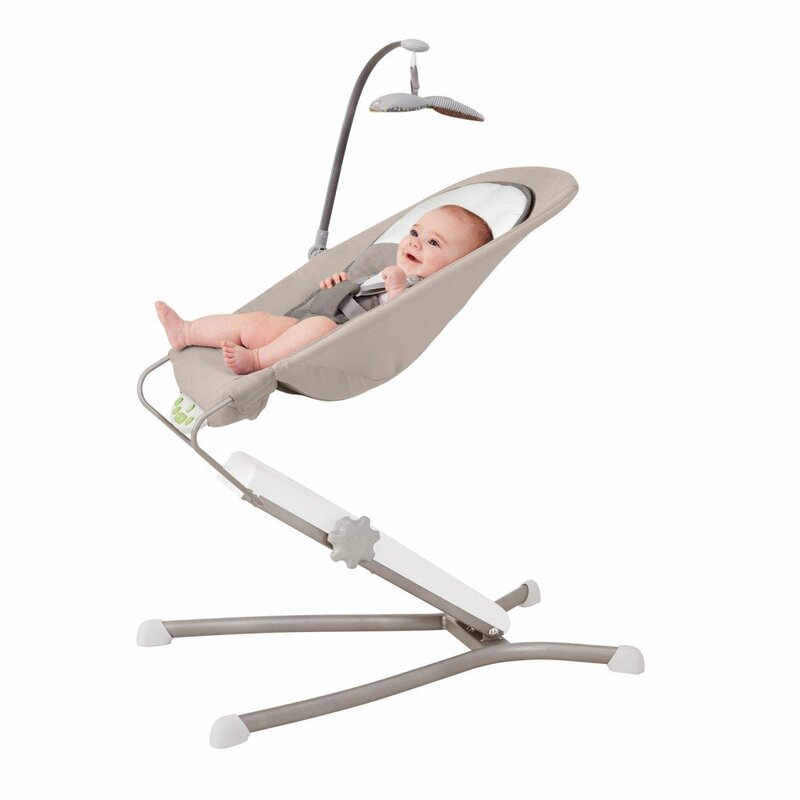 With a sleek, streamlined look and a neutral colour palette, the Uplift is sure to suit any home’s decor and includes a number of tried and tested family favourite features such as soothing vibrations, auto-shutdown, musical melodies, calming sound effects and a tuck-away toy bar.